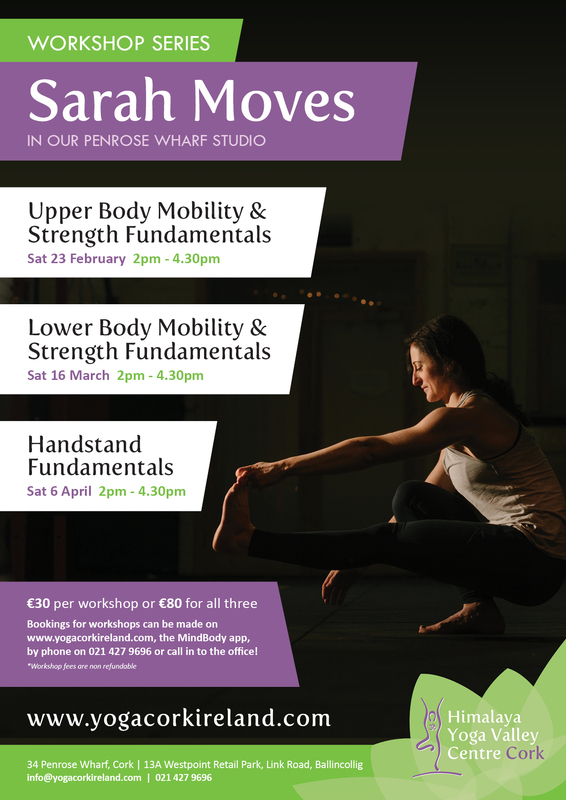 After her booked out Core Fundamentals Workshop in January, we are delighted to welcome back Sarah Moves for a series of three workshops! Are you still feeling a lack of upper body strength despite all the chaturangas you bank in a week? Do you live with repetitive wrist, elbow or shoulder strains? Curious how to increase range of motion and freedom of movement in your shoulders? The intention behind this workshop is to get reacquainted with the structure of the upper body so we can function more efficiently and move more freely as a whole, on and off the mat. Together we will break down efficient movement patterns versus inefficient ones, and learn how to maintain structural integrity of the shoulder and upper back through isolated mobility and strength work that can easily be applied to your regular practice. Whether you are new to learning about the anatomy and mechanics of the body, or a more experienced teacher/student who has a general knowledge but wants to invest in deepening your understanding and awareness to a new level, all will find value! In this lower body focused workshop we will address fundamental movement patterns and the role of alignment in maintaining efficient hip mechanics in relation to the rest of our structure. We will explore what it means to have mobile and functional ankles, knees, hips, and how recruitment of the right “stuff” can generate power, strength, and stability from the inside-out. If you wish to build more of a solid foundation in your standing poses, struggle with balancing, or want to learn more about how to access your posterior chain, this one’s for you! Are you still kicking up and hoping for the best? Hitting a plateau? Have you always dreamt of learning how to perform a handstand but convinced yourself it just wasn’t in your wheelhouse? In this workshop we will uncover the roadblocks and prerequisites for skill development in performing a handstand. We will look at joint preparation, alignment, and how to carefully enter and fall out of alignment. Together we will explore accessible bite size tools/methods to help us build the upper body mobility and strength needed to feel stable upside down in this elusive pose (not to mention have FUN doing it)! Whether you are brand new to handstands, have been kicking up for years, or you wouldn’t dream of it and still feel intimidated by crow pose, all levels are welcome. *Workshop fee is transferable if cancelled at least 24h beforehand, but non-refundable. Book online now or call the centre on 021-4279696!